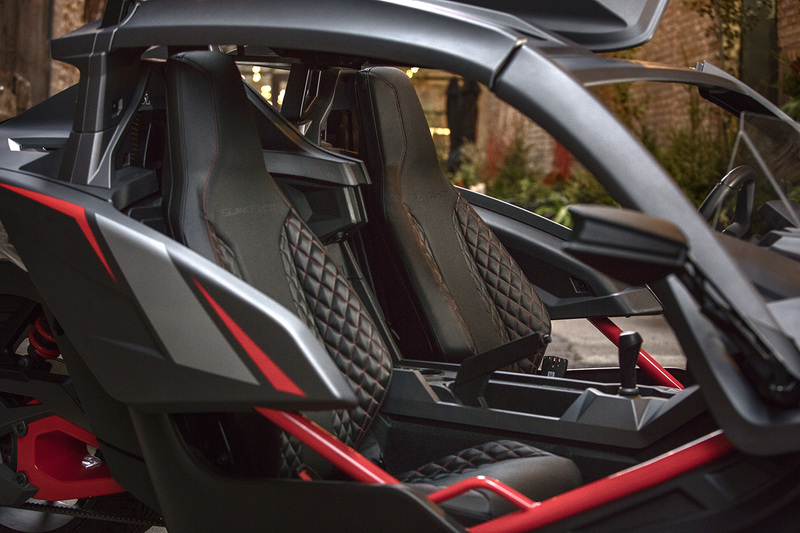 A fifth member is joining the Polaris Slingshot lineup of three-wheeled open-air roadsters. 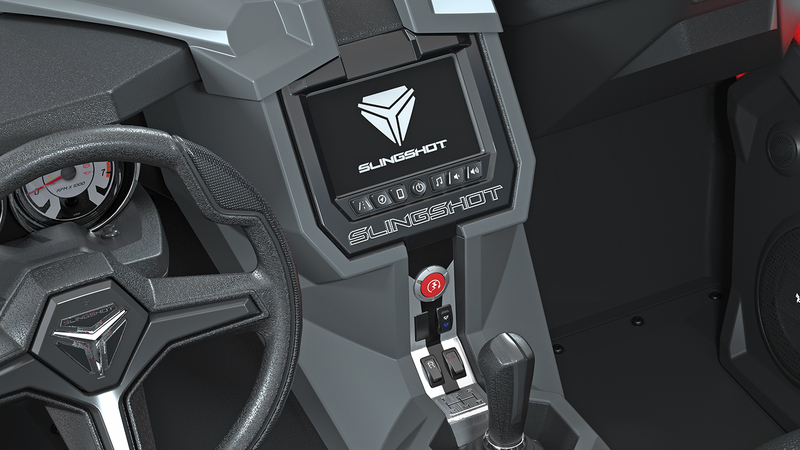 The new Slingshot Grand Touring LE will add a little luxury to the Slingshot with a generous host of standard tech options and comfort features. 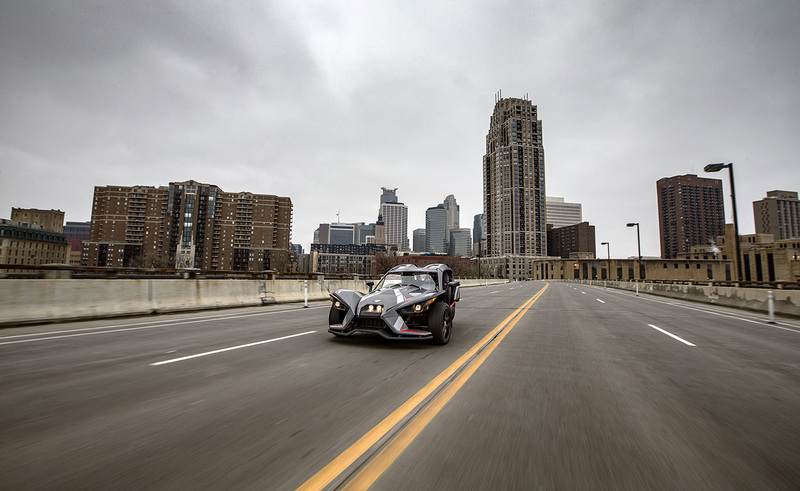 Think of it as the luxury touring model in the Slingshot line. 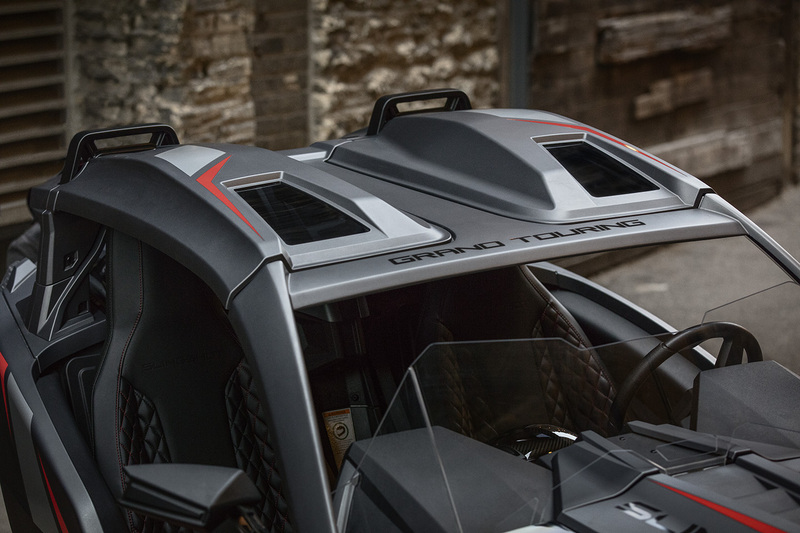 The most noticeable thing that sets the premium Grand Touring LE model apart from the other Slingshots is the standard removable Slingshade roof. 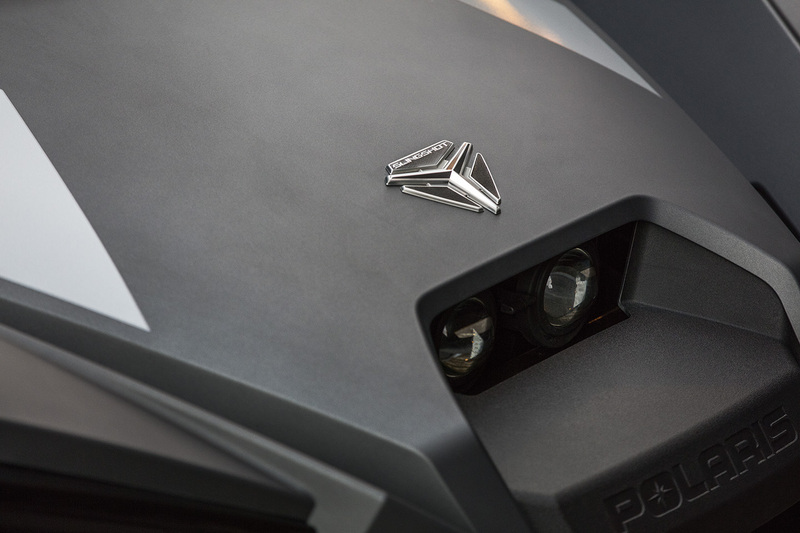 Slingshade is a popular option that normally costs between $2,499.99 and $2,999.99 depending on the color, so if you were planning on getting a Slingshot and adding the optional Slingshade roof, you might actually save a few bucks by upgrading to the Grand Touring LE which comes standard with the roof. 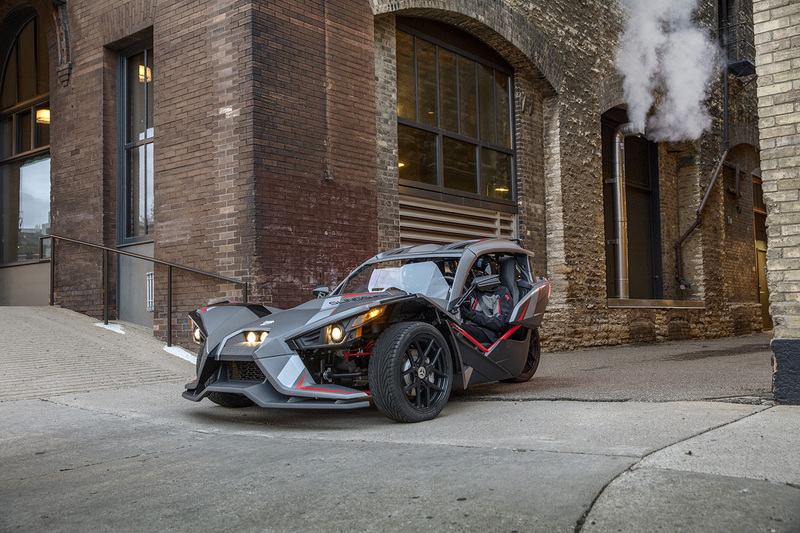 What’s the point of the roof, you might ask? 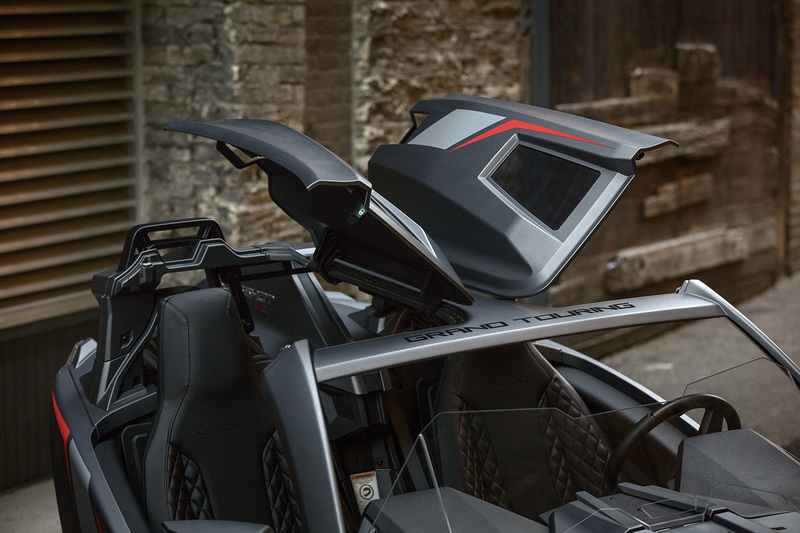 Polaris says Slingshade “offers superb rider comfort and sun protection,” in a press release. 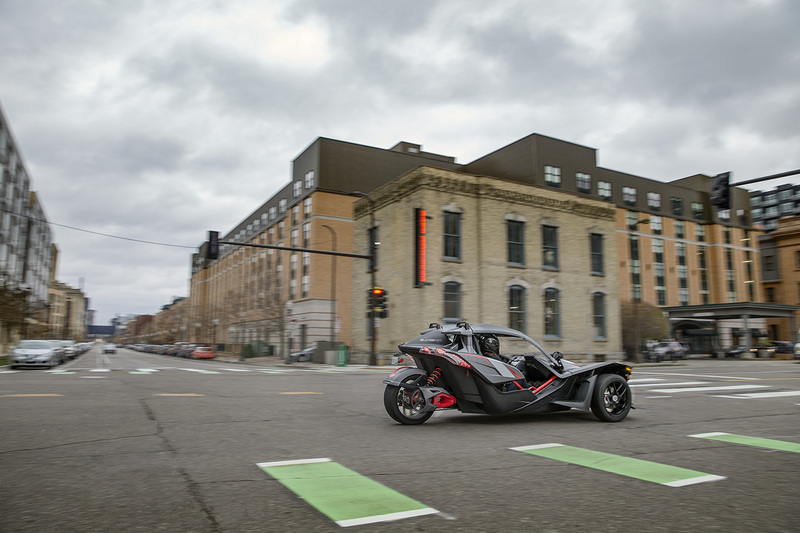 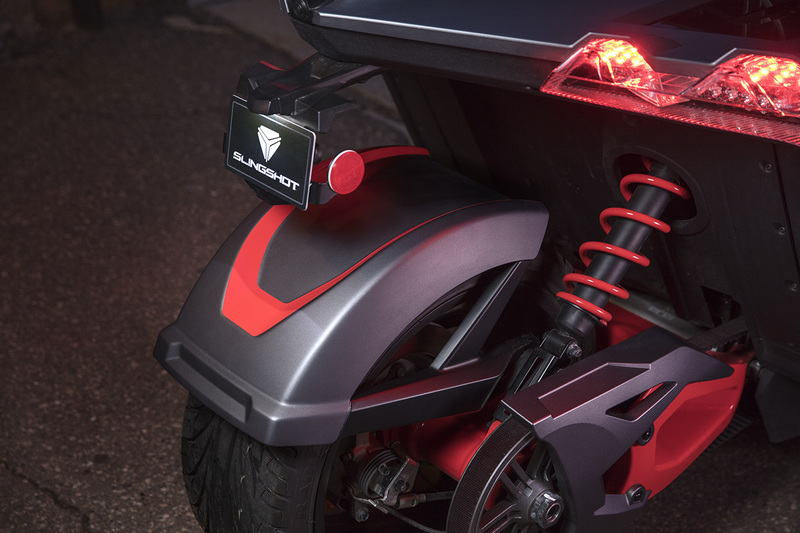 Other features that come standard on the Slingshot Grand Touring LE include Quilted Comfort Seats, a Ride Command infotainment system (which is excellent) with navigation, black cast aluminum wheels, a color-matched rear fender, and a striking Matte Cloud Gray/Indy Red paint job. 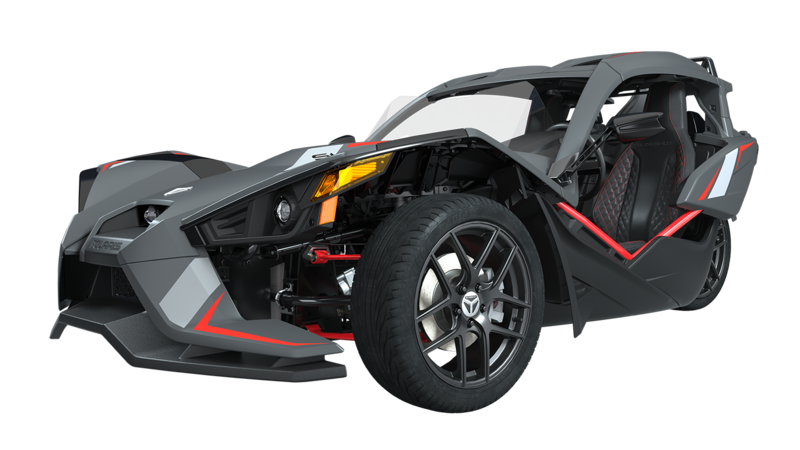 You can further upgrade this Slingshot with optional accessories like Bilstein shocks, premium audio, and storage bags. 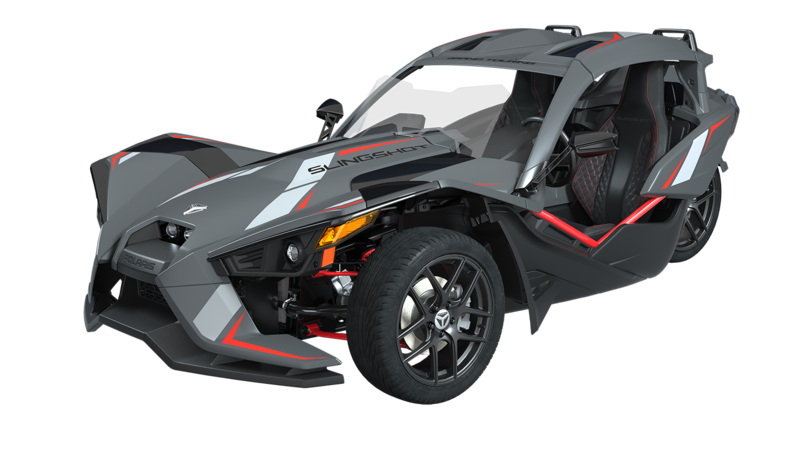 The Slingshot Grand Touring LE shares the same GM 2.4-liter four-cylinder engine and five-speed manual transmission with the rest of the Slingshot lineup making 173-horsepower and 166 pound-feet of torque. 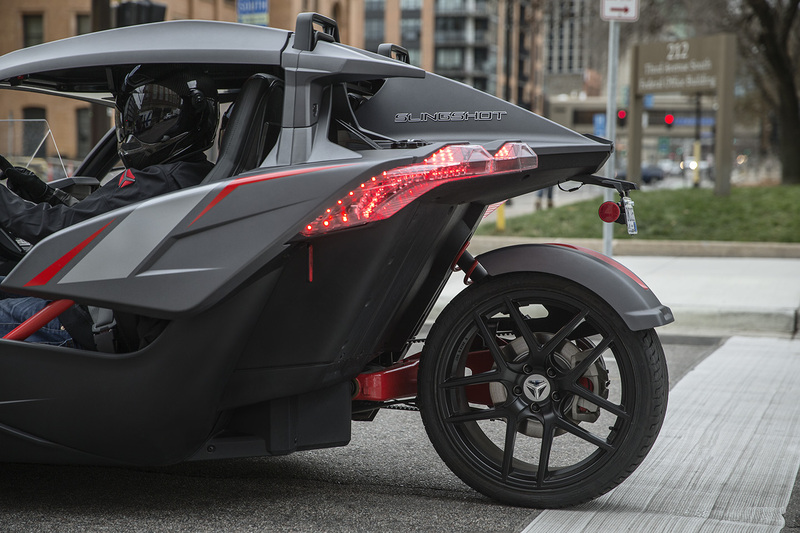 Thanks to a new “autocycle” classification, you do not need a motorcycle license to drive a Slingshot in 41 states. 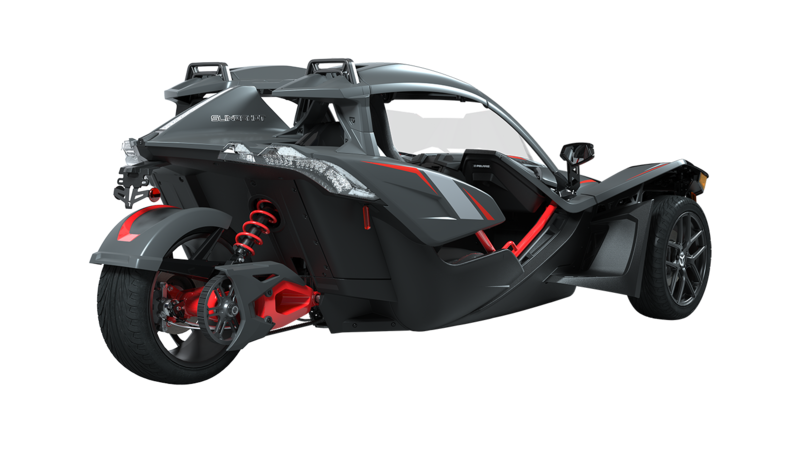 You can go to Slingshot’s license requirements page to see the Slingshot’s operator license requirements in your state. 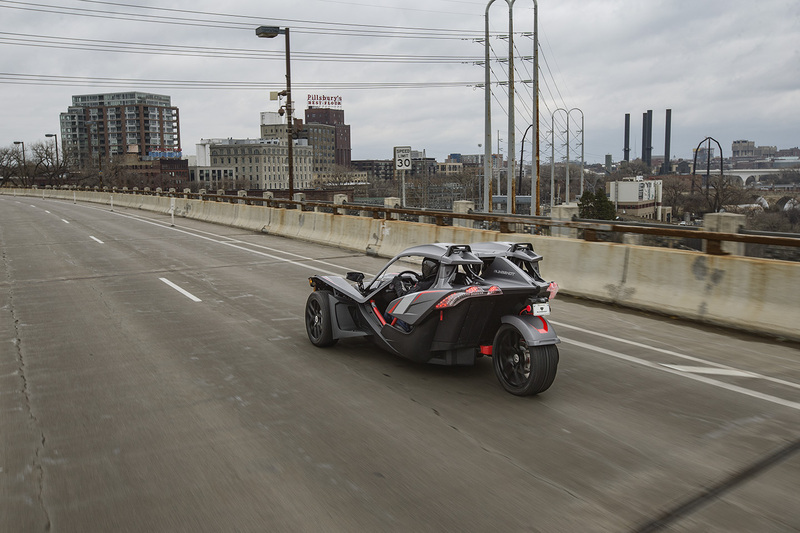 Look for the Polaris Slingshot Grand Touring LE to start arriving at dealers in the U.S. and Canada this March with a starting price of $29,999. 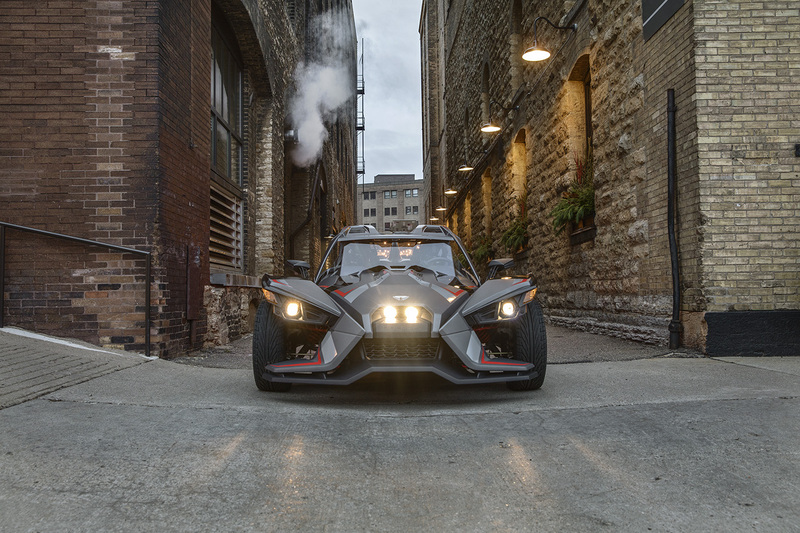 If you want to see it sooner than that, it will be on display at the Nicollet Mall in Minneapolis and it will be at Maxim Magazine's "Big Game Party" Feb. 3. 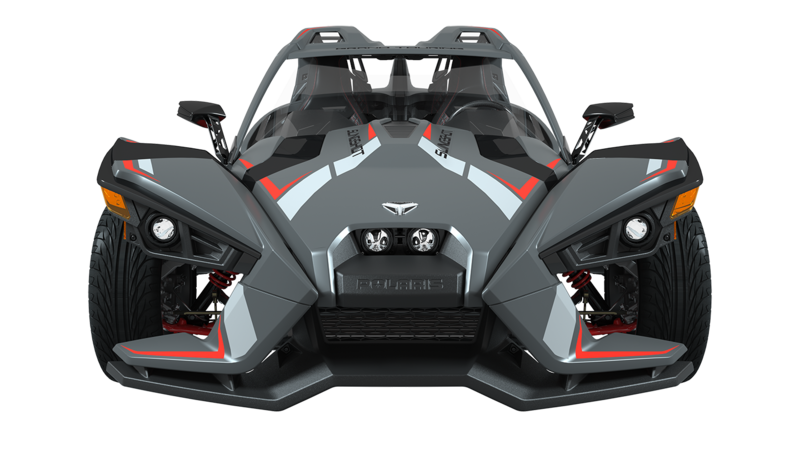 Classic styling, modern engineering, and long-distance comfort all come standard on this luxurious leviathan.